Well, I’m back in Princeton, NJ after a whirlwind NYC tour at the USTA Tennis Teachers Conference and a US Open book signing. I am pleased with how everything turned out. If you read my message from Monday, you know that there was a mix-up with the ordering of my books for the TTC. I had a book signing but no books. It worked out and books were available. I couldn’t control the fact that I didn’t have books five hours before my book signing. It wasn’t easy, but I focused on preparing for my talk and staying in the present moment. It’s true. You can’t control the problems, but you can control your perception of them. And you can control your response. On the court. In school. At work. At home. 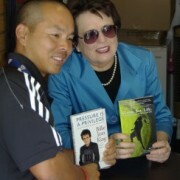 Yesterday, I had a book signing at the US Open bookstore, just before Billie Jean King. It went very well; I sold some books, then met Billie Jean. She was very nice. She called me Edwardo. Funny. I gave her a copy of my book and she signed an old Time magazine for me, thanks to my friend, Melissa Sapio, editor of “Game. Set. Life.” and a great GSL promoter. The rest of the day was spent catching up with friends and tennis pros from all over the world, though I did manage to watch one set of Cilic’s match in the Grandstand. 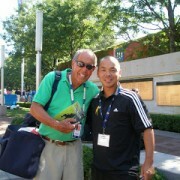 I met some great people in the industry at the Tennis Teachers Conference and US Open. It was a pleasure presenting my workshop and experiencing this great event. I could focus on the things that didn’t go so well, but why would I waste that energy? I hope you enjoyed the photos above. For those of you in the Princeton, NJ area, don’t miss my peak performance workshop and US Open party tomorrow at Mrs. G’s TV and Appliances in Lawrenceville. 6-9pm. MESSAGE #758 LIVE FROM WEST PALM BEACH – IT’S ED’S BLOG! If you have been reading this blog, you know that life is not about winning. It’s not about making a lot of money. It’s not about fame. The quote from Jennifer Capriati is a great one. If winning were everything, we would only play people we knew we could beat. That would be boring. You need to enjoy the process of improving, push yourself and be a good person. Today I am in Palm Beach, Florida getting ready to give a talk to some tennis players and coaches on the mental side of sports and life. Denise Capriati (Jennifer’s mother) and her tennis team will be among the attendees. I’ll probably be nervous. (I usually am before I give a talk). But I won’t act nervous. One of the mental secrets of the pros is that they focus only on the things they can control. It is then, that they win more. NOT when they are trying to win. You can’t control whether you win or not and I can’t control if the attendees will like me, or not. I’m going to enjoy the fact that I am trying to help others and hopefully will help players and coaches think differently. 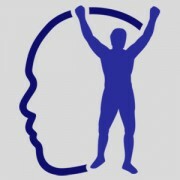 If one person walks away more motivated or with more hope, my job is complete. But regardless, I will be focusing on giving my all and having fun. https://www.edtseng.com/wp-content/uploads/2013/06/default2.jpg 300 300 admin https://www.edtseng.com/wp-content/uploads/2013/06/TsengLogo211-2.png admin2009-08-23 14:53:002009-08-23 14:53:00MESSAGE #758 LIVE FROM WEST PALM BEACH - IT'S ED'S BLOG! Today’s message is especially dedicated to the great James Tillinghast in Delaware. Well, it’s official – my new book, Game. Set. Life. is currently ranked higher than Roger Federer’s book, Billie Jean King’s, Gone with the Wind, Oprah’s, and Tennis For Dummies on Amazon.com. I extend much gratitude to everyone that purchased my book on Amazon yesterday. It really helped bump me up from #386,000 to #4,988. Not a bad start. Whoever can tell me (in as many words as you like) why you need a copy of Game. Set. Life., you win a free copy signed by myself and one of my friends, students and heroes, who wrote the forward to my book…Brad Abouchedid, Special Olympics, Gold Medalist in Tennis. Let’s give it until Monday, September 15th at noon. Email me at ed10s26@yahoo.com and good luck! https://www.edtseng.com/wp-content/uploads/2013/06/default2.jpg 300 300 admin https://www.edtseng.com/wp-content/uploads/2013/06/TsengLogo211-2.png admin2008-09-12 04:16:002008-09-12 04:16:00MESSAGE #410 BEST SELLER?? ?